Diff ActiveX Component Library for file comparison. Free trial. 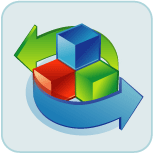 Empower yourself with Diff ActiveX tools from Softinterface. Compare Files X is a royalty free, robust and powerful comparison component in reusable ActiveX form. Instantly add a "Compare Files" and/or a "Compare Folder" feature to your program! With Compare Files X it's as easy as dropping a component onto your form. NOTE: If you need a document (PDF, DOC, XLS, RTF) comparison ActiveX, see 'Diff Doc'. A key feature of this diff ActiveX is that it runs on a separate thread allowing the end users application to continue functioning in a responsive manner. Compare Files X encapsulates all the details required for quick integration. For example, many compare attributes are persistent across runs of the end users application automatically. Furthermore, the demonstration source code can be easily cut and pasted into your own application. If you need to quickly create a file diff-erence utility then look no further. Simply cut and paste the provided VB or .NET source and you're there. Why create your own Diff component or Diff DLL when we've done it for you? Download and try the "Compare Files X Demo Program"... AND... the Compare ActiveX component! Both "Side By Side" and "All In One" views are supported. Side By Side file comparing is shown above and All In One is shown below. The source code for the application shown in the screen shots above is provided with Compare Files X. If you would like to see a commercial application built with this Diff ActiveX please check out WordDocDiff. The question becomes, is our product cost effective? To answer, it took our highly skilled programmers several man years to create this high quality diff component and its sample programs. Don't recreate the wheel, get your program out there! A key feature of this diff component is that it runs on a separate thread allowing the end users application to continue functioning in a responsive manner. Thread priority can be set from IDLE to TIME CRITICAL. Compare or Diff data can be saved to a tabbed delimited file which is easily imported into Excel. The DirCompareCompleted, FileCompareCompleted, DirCompareStarted, FileCompareStarted, and OnError events provide programmers with real time information. Demonstration source code for this Compare ActiveX can get your project up to speed fast!